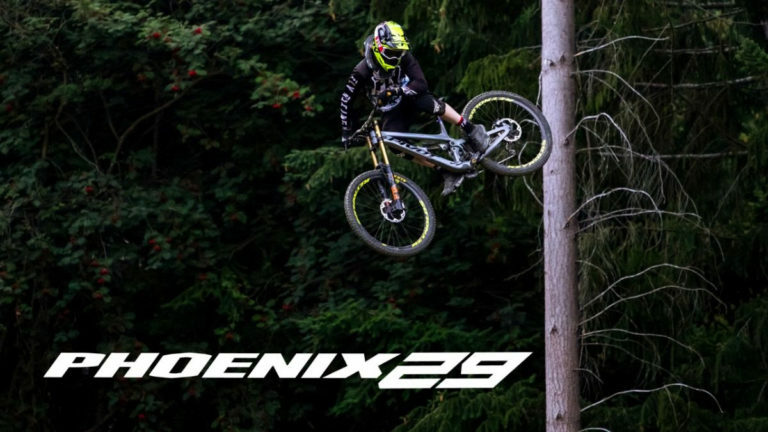 MTB News Mix is a weekly update of all things mountain biking where we cover new products, pro races, athlete news, and more. This week, we have new flat pedals, a new mountain bike shoe factory racing team, a teaser from Pivot on their new downhill 29er, off-road shoes from Rapha, and more. 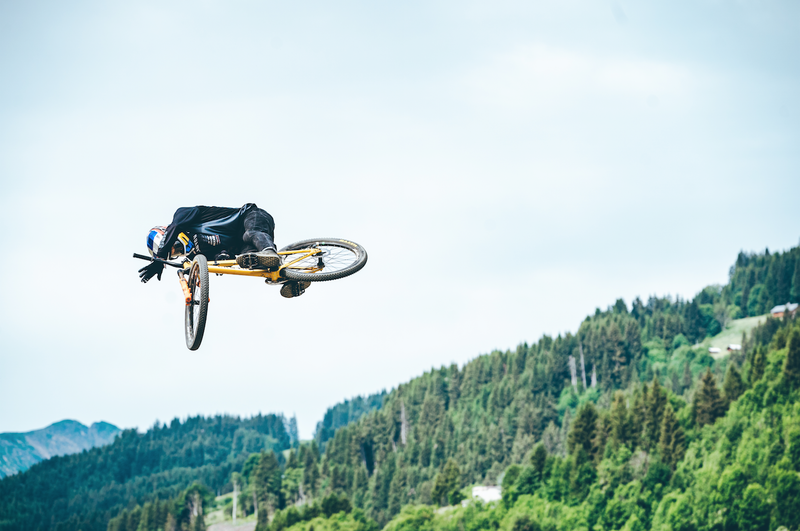 Known for their freeride, slopestyle, and pumptrack accomplishments Thomas Genon and Tomas Lemoine need a high-performance flat pedal ready for anything. The NC-17 Sudpin IV XL TNT Signature edition pedal is their answer. The pedals have a large, concave shape and surface area of 110x106mm. The pedals also feature 12 steel pins per side on the CNC machined 6061 aluminum pedal body, three double-sealed precision bearings, and a chromoly axle. The weight is 205g per pedal and the MSRP is 130 euros, or around $150. 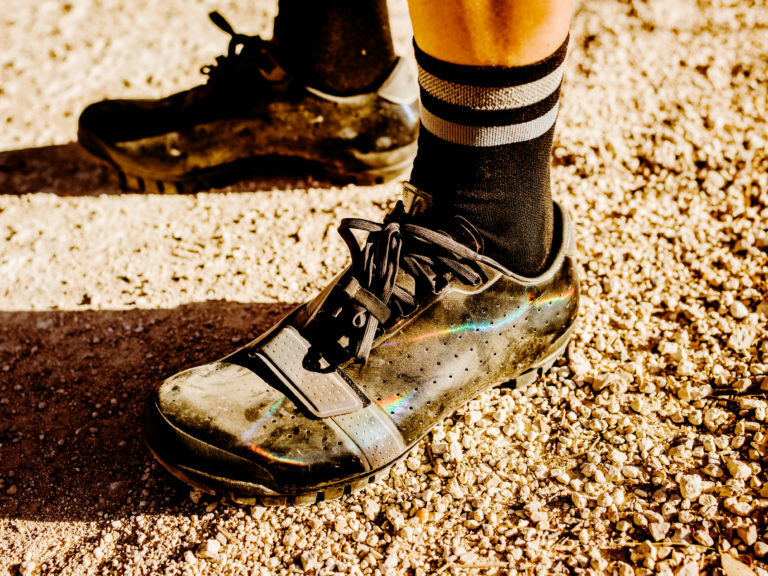 The classic cycling brand Rapha takes a deeper dive into off-road riding apparel with the Explore shoe. The shoe has a light and stiff carbon sole for power transfer, but cut to allow to allow a little more flex in the heel and toe. Then it has a rubber tread with recessed cleats for walkability. The shoe is available in four colorways and costs $250. 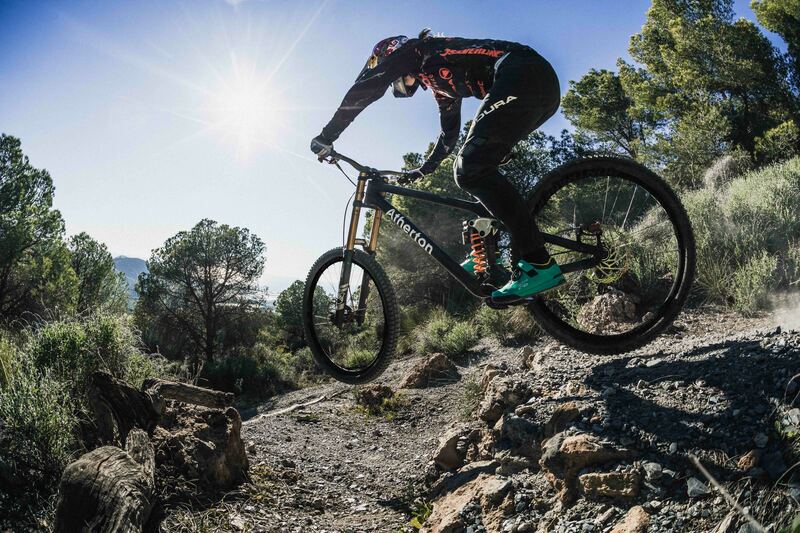 Stan’s NoTubes has a new version of the popular all-mountain rim, the Flow. The Flow EX3 features Tiebeam, an internal reinforcement that is more impact resistant with greater air retention, according to Stan’s. The Flow EX3 has a 29mm internal width, is built from aluminum, and is ready for eMTB, enduro, or downhill. 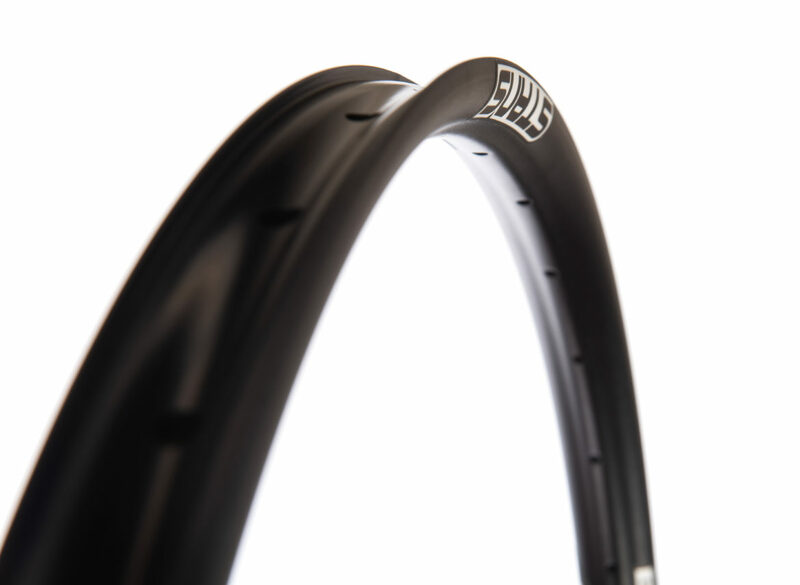 A 27.5-inch EX3 rim weighs 580g and the 29er weighs 618g. Rim pricing starts at $115 and a Stan’s NoTubes wheelset with Neo OS hubs costs $700. The new(ish) mountain bike shoe brand Ride Concepts (which we checked out when they first launched) is coming out swinging this year with a stacked athlete roster. First off, the team manager is Crankworx slopestyle champion, Rampage competitor, and adaptive athlete advocate Paul Basagoita. 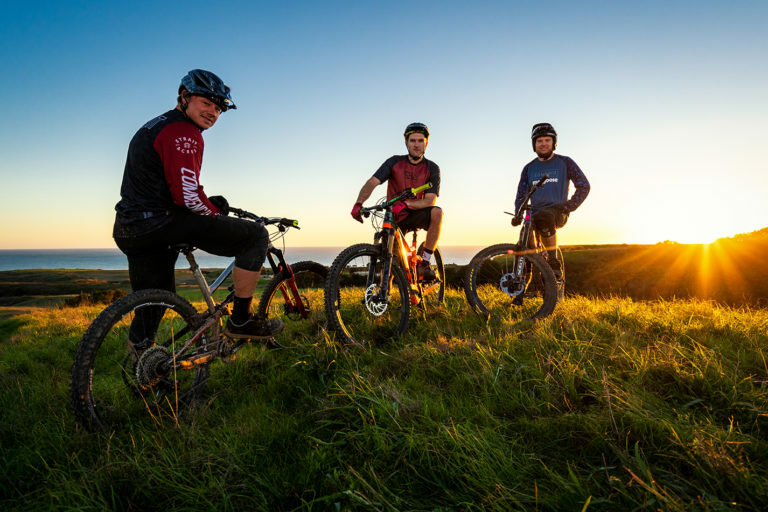 Competing for the team are the Athertons, who’ll be racing the World Cup on their new bikes, freeride stud Kyle Strait, Crankworx competitor Greg Watts, and content creator and ambassador Sam Pilgrim. Ride Concepts will have new models and colors released throughout the 2019 season. Nino SCHURTER (SUI) and Lars FORSTER (SUI) of team Scott-SRAM MTB-Racing during stage 1 of the 2019 Absa Cape Epic Mountain Bike stage race held from Hermanus High School in Hermanus, South Africa on March 18, 2019. 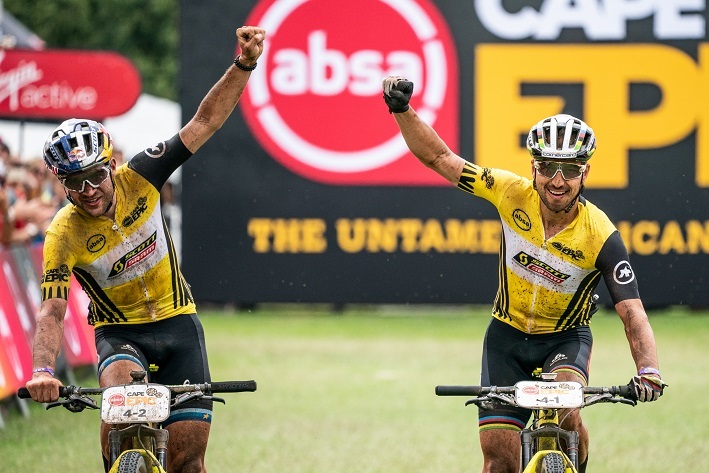 Nino Schurter and Lars Forster secured a win on the first and second stage of the Absa Cape Epic in South Africa. Annika Langvad and roadie crossover Anna van der Breggen have also secured the first and second stages. The Specialized video below highlights Langvad and van der Breggen’s new relationship and commitment to race the Cape Epic. Pivot has been prototyping a new 29-inch downhill bike to replace the old 27.5-inch Phoenix. Eddie Masters even tested it in the World Cup. Pivot says the bike isn’t ready for the public yet, but it’s coming soon. Keep an eye on Pivot Factory Racing at Crankworx Rotorua to possibly get a glimpse of this bike in action. Racers Guild Racing Summer Series will be held over five rounds at Stile Cop Bike Park, Cannock aimed at all levels and ages of DH riders.